Susan Hufford, the wife of Guiding Light star Michael Zaslow who later became a passionate advocate for people with ALS following his death, has lost her year-long battle with cancer on November 28th. Susan Hufford was a successful author, actress, psychotherapist, wife and mother. She wrote over twenty books, appeared on television and performed on Broadway where she met her husband, Michael Zaslow in Fiddler on the Roof. Michael Zaslow was an Emmy award winning actor, creating daytime's ultimate villain, Roger Thorpe on Guiding Light and the elusive, romantic composer/conductor David Renaldi on ABC's One Life to Live. In 1997, Michael was diagnosed with ALS. In 2005, Susan published Not That Man Anymore: A Message from Michael, written by Zaslow and Hufford, which chronicles Michael's year-long battle with ALS. After Michael's diagnosis with ALS, he and Susan became passionate advocates for people with ALS, using his celebrity status to heighten awareness of the disease. In 1998, the couple joined the Greater New York Chapter delegation at National ALS Advocacy Day in Washington, DC to put a face on ALS to elected officials. After Michael's death in 1998, Susan continued to play a leading role in advocacy efforts. She joined the Greater New York Chapter's Board, serving a Public Policy Chair. 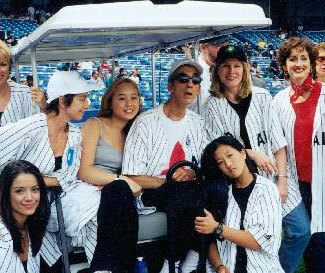 As president of Michael Zaslow's ZazAngels, Susan worked tirelessly to raise awareness and funds for ALS. She produced five Broadway Theater benefits, including Love Letters starring Alec Baldwin and Tuesdays with Morrie starring Jerry Stiller, raising over $1 million for ALS research. Susan is survived by her daughter, Marika. Funeral services will be held Friday.